I don’t know who Tonya Harding is, to the degree that she, the person, has become mythologized—ascendent into iconic status even within certain queer circles. Her character has been shrouded in secrets, lies and truths too—she has reached a point where the hard facts of her life seem to matter less than the idea of what kind of person she is, was and represents. A sports world scandal effaced the former Olympic figure skater’s career and forced the United States to reckon with hard truths about what role gender and class had in front of the cameras, when they would have rather dusted poverty and the challenge of archaic gendered standards under the rug. 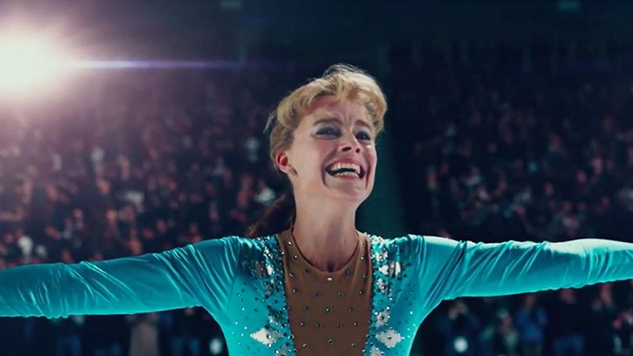 If Craig Gillespie’s I, Tonya presents a portrait in which Tonya’s (Margot Robbie) defiance and need for agency exists in a push-and-pull relationship with how other people frame her, then Sufjan Stevens’ one-off single(s) “Tonya Harding,” released at the beginning of December, is an extension of that idea. But while Gillespie’s film is defined by harshness, by the kind of ironic retribution that Harding, at least how we may have imagined her, may have always wanted, Stevens’ song—which comes in two iterations: one in D Major, one in Eb Major—is gentle and sincere, containing some of the compassion Harding may have always been looking for. Craig Gillespie and screenwriter Steven Rogers’ conception of Tonya Harding, aided by the interviews Rogers conducted and transcribed into his script to give it a faux-documentary groundwork, is of rightful embitterment, portraying a woman whose passion was both the only escape from the Hell of the world in which she lived, and a doorway to that very scrutiny. She’s been a punch line for years, her passion taken from he, and she wants to set the record straight. In the film, as we travel back through her memories via her testimony (and the testimony of other characters in her story), Tonya interrupts herself to clarify and contest, though she’s occasionally contradicted. When she looks into the camera, you know she wants to speak her truth. Margot Robbie gives her character a sort of snarl, and her words feel occasionally venomous, as if she’s allowed to finally bare her fangs: “America, they want someone to love. But they want someone to hate.” By all means, Tonya Harding is a complicated figure, and I, Tonya is nothing if not a rousing toast to the crag-like sharpness of her persona and attitude. Superficially, then, it makes sense as to why the filmmakers passed on indie wunderkind Sufjan Stevens’ odes to the figure skater. Previous songs, including one by the Coathangers, have also taken the path of illustrating Harding with a kind of fury. Stevens, however, looks at Harding with dreamy innocence. Kindness even. Stevens writes in an essay that he’s been trying to write a song about Harding since he “first saw her skate at the US Figure Skating Championships in 1991,” more than two-and-a-half decades ago. The cultural dust has mostly settled, with the recent film shaking things up again, but the time that has passed since then, and since the incident with Nancy Kerrigan in 1993, has allowed Stevens as a writer to see through most of the clutter of others’ narratives about her to create a mythos of his own. In both versions, Tonya’s story is tragic, and beautiful, and heartbreaking, with D Major climbing into a magisterial interpretation and distillation of Harding’s complexity, while Eb Major strips that chimerical status all away to reveal a singular humanity in her character. “Tonya Harding (In D Major)” serves as the perfect complement to Harding’s triple axel, and, more to the point, to Gillespie’s presentation of it in the film: His scene, Robbie as Tonya surrounded by the artifice of CGI, is slowed down to carefully examine the technique from all angles. But D Major’s ethereal orchestrations reposition the listener as Harding, up in the air, time stopping, doing what she does best, spinning, like the world, only forward. With D Major’s production, its piano twinkling like the stars and its synth suggesting an expansive plane of safety and danger all at once, Harding jumps into the heavens. “Tonya Harding (In Eb Major)” has her fall softly, faster in pace and more direct in vocal performance (though no less gently). Stevens lyrically acknowledges that she was anything but. And that acknowledgment, that appreciation of her complicated relationship to the people around her, to her own sport (“Well she took quite a beating / So you’re not above cheating”), and the world she wanted to love her, implies that Stevens sees her as a flawed angel. This version of the song is loving and evocative, a lullaby whose winks (“Are your laces untied?”) matter far less than the deep interest and empathy it has for its subject. Stephen Halker’s illustration for the single reframes Harding’s distinct features as if some sunshine were casting its light on someone who was told that they didn’t deserve it. And, in the film, that is what Tonya is constantly told, physically and verbally. While the ending of I, Tonya has Harding assert herself, and indict the audience in the meantime, “Tonya Harding” is the hand that reaches out to her. She’s a “shining American star.” Listen to the songs after you’ve seen the film. Together, they make her seem realer. They make her seem human. You can buy Stevens’ single here.